Francisco de Zurbarán (1598-1664) was a Spanish painter, particularly known for his depictions of monks, nuns, and martyrs. The son of a haberdasher, he began drawing with charcoal when he was a small child. When Francisco was sixteen, his father sent him to Seville to be apprenticed to an artist. His first major commission was a contract with a Dominican Monastery in Seville in 1626. Zurbarán produced twenty-one paintings for the monastery in eight months. Zurbarán became known as the Spanish Caravaggio due to his heavy and effective use of chiaroscuro. The technique is especially evident in one of his best known works, a painting of St. Francis according to a vision of Pope Nicholas V. In that painting, the Saint stands in his monk's robe against a completely black background, with the texture and shading of Francis and his garment the only content of the painting. 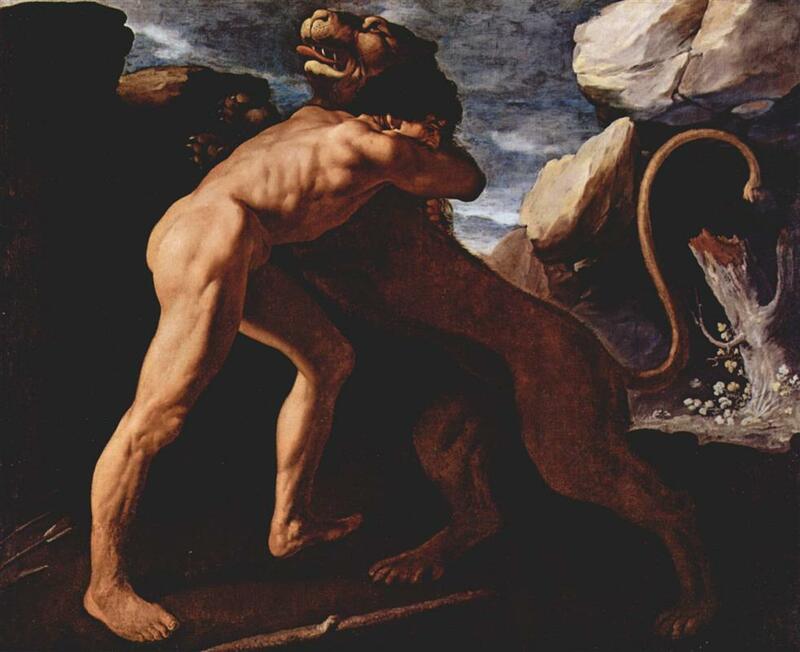 The Death of Hercules is one of several paintings Zurbarán did of the Classical hero (for example he also depicted him fighting the Nemean Lion and the Hydra). Hercules died when he was given a tunic dipped in the poisonous blood of the centaur Nessus, who is visible on the right in the background. 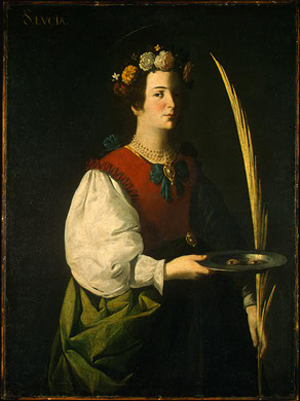 This piece includes Zurbarán's trademark chiaroscuro, and has a number of other interesting elements. Perhaps the most unusual aspect is the visual depiction of Hercules' pain. 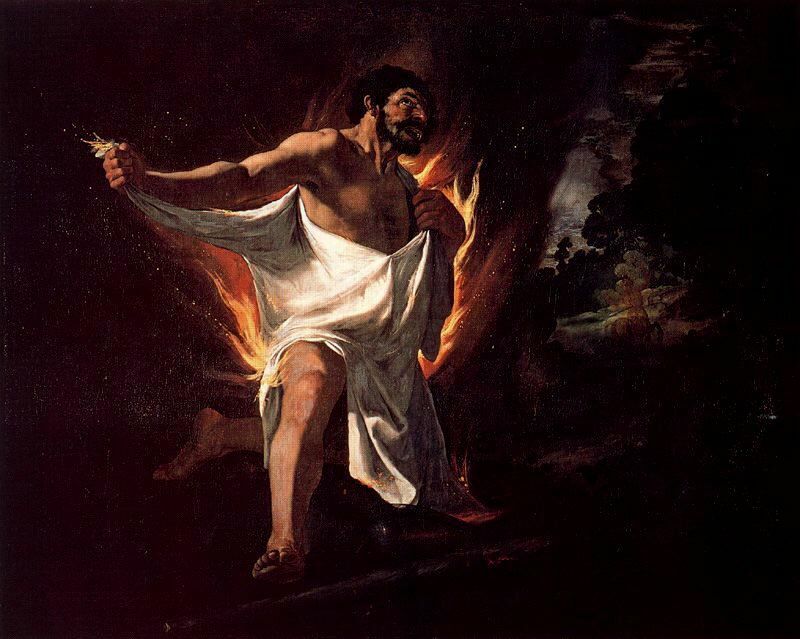 As the poisonous garment burns him, we see literal flames surrounding his body. This technique is very unusual and makes the pain visceral and immediate, impossible for the viewer to ignore or not identify with. 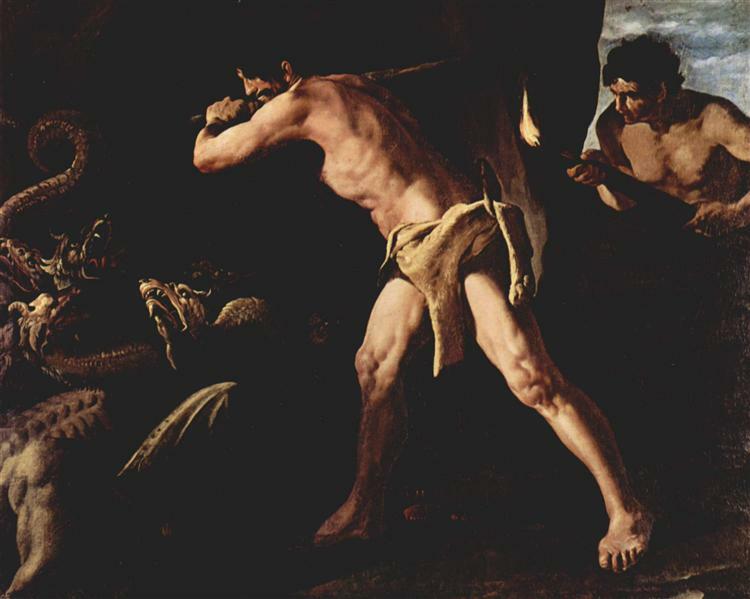 There is also a way in which Zurbarán seems to unite Hercules with the Christian martyrs he depicted so frequently. By showing the burning this way, his pain becomes our pain, and the suffering of his death becomes very present.